Some say he has a bed made up entirely of cards, others that his highest streak of winning games of blackjack is over one thousand. 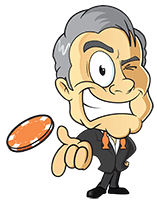 He is the Casino Veteran and he thought it was high time that he checked out what Wishmaker Casino had to offer. 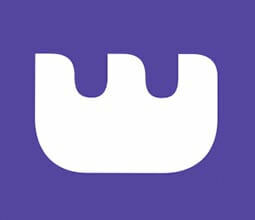 The casino partners with well-known game providers, such as NetEnt, Microgaming, Betsoft, Evolution Gaming, IGT and NYX. You can test out most games (with the exception of jackpot games and live dealer games) for free. It is also possible to access how-to-play guides for most games, and the info pages for each game include payout details, showing a commitment to fairness and transparency. 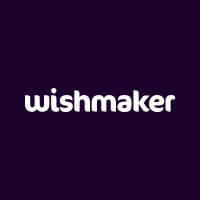 Wishmaker accounts can be funded by major credit cards, paysafecard, Skrill and NETELLER. The casino provides customer support via live chat from 9:00am to 1:00am, seven days a week. The Wishmaker website is responsive and is designed to work well on any mobile device, iOS or Android. It is not necessary for players to download an app as the mobile version of the site is available by browser from any mobile device. When you go to the site via a browser on a mobile device, you will automatically access the mobile version of the website. As you would expect, there are fewer games available on the mobile version, but what is available works well. Wishmaker online casino is currently offering a welcome bonus to all new customers. The casino will match your first deposit with a 100% bonus, up to a maximum of £/€200, plus you will be offered 50 free spins. Wishmaker also offer regular promotions and bonuses for existing customers. These can be found on the rewards page and are subject to change, with various seasonal and one-off promotions. However, rewards and bonuses seem to be offered frequently to those who play regularly. Check all the current bonuses for existing customers in the Bonuses section of the FAQ, which can be accessed from the footer of the home page. Many of the above games come in several different versions, providing plenty of variety for Wishmaker customers. The Casino Veteran visited the Wishmaker online casino and was very happy with all that he discovered there. This may be a relatively new casino, but everything appears to be up and running smoothly. The Casino Veteran was impressed with how quick and easy it was to make an account, and he liked the fact that he could play most games for free in demo mode to check them out. He also liked how easy it was to use the handy search bar at the top of the games page to find exactly what he wanted. He played some Starburst and Coins of Egypt, then decided to try one of the live dealer options and was pleasantly surprised to find so many versions of popular games such as roulette and baccarat. The Casino Veteran had a great evening and even won some money. It is possible that Wishmaker Casino will become a regular haunt for him.